When Matt mentioned that he’d like to stop in Amsterdam on our way back to the U.S. from Korea, I was not excited. Isn’t Amsterdam just a party town? I wondered. I’m too old for that. 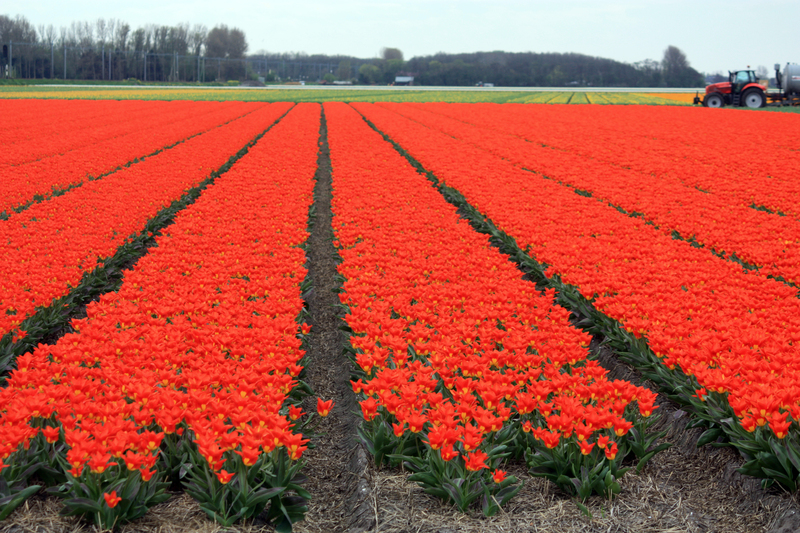 Then I remembered the tulips. 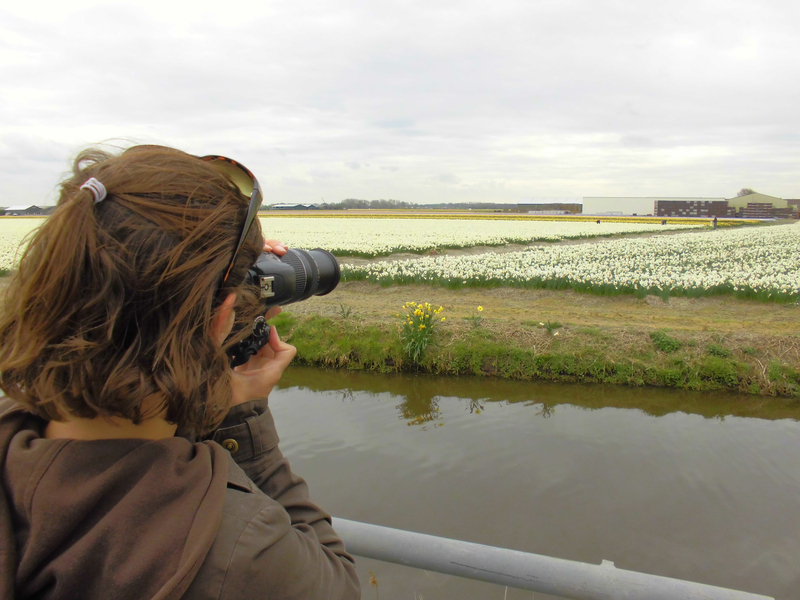 I researched the time of year we’d be arriving and found no conclusive evidence we’d get to see tulips in bloom. 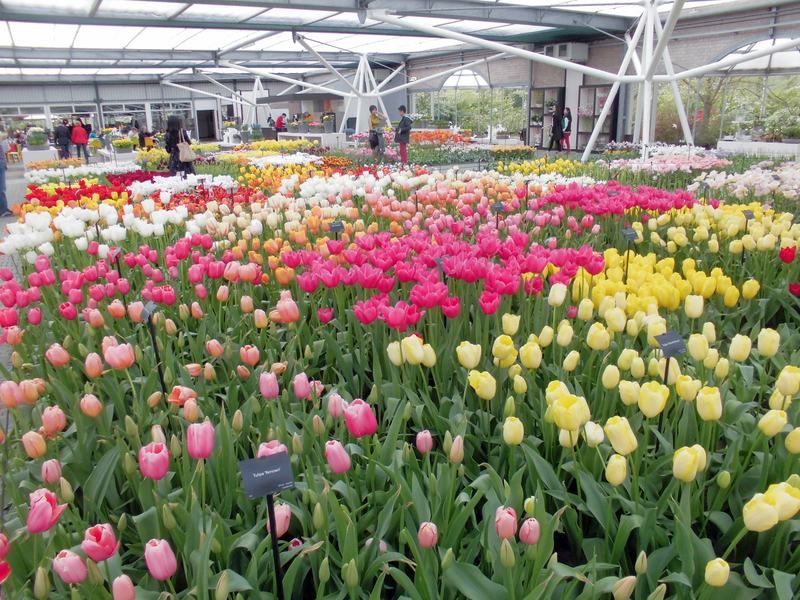 Early April is late enough that there’s a chance we could see tulips after a warmer than usual winter, but it’s still early enough that there are no guarantees. 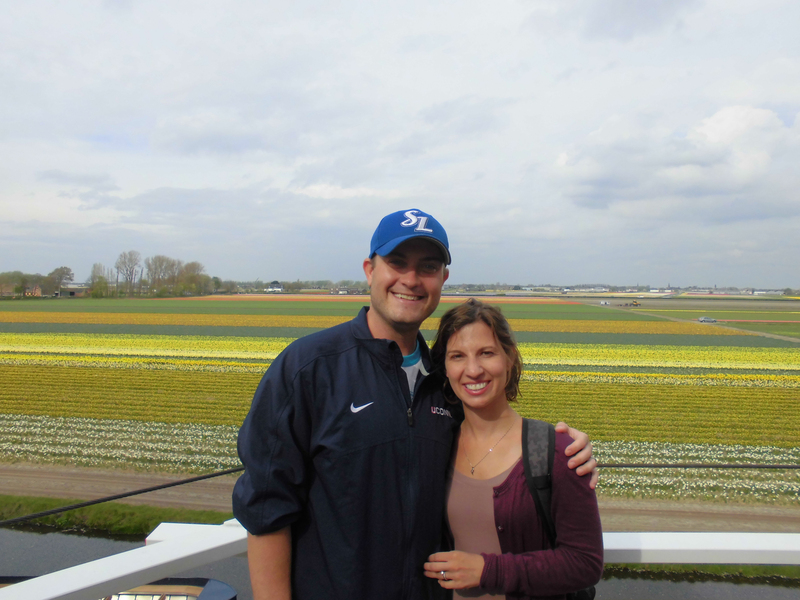 But with visions of tulip fields in my head and Matt telling me there was more to Amsterdam than my non-researching brain was telling me, we decided to pencil it in. All I can say is wow. 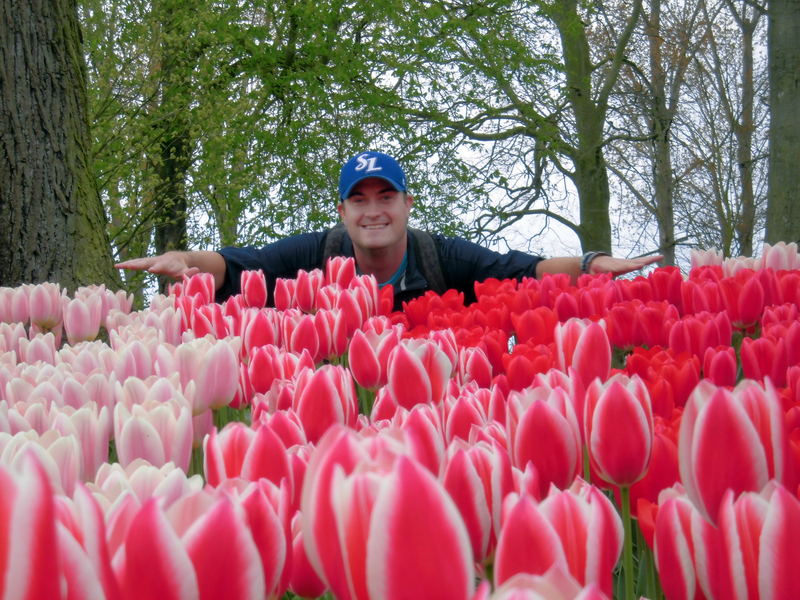 Keukenhof gardens was stunning with more than seven million flowers in bloom. 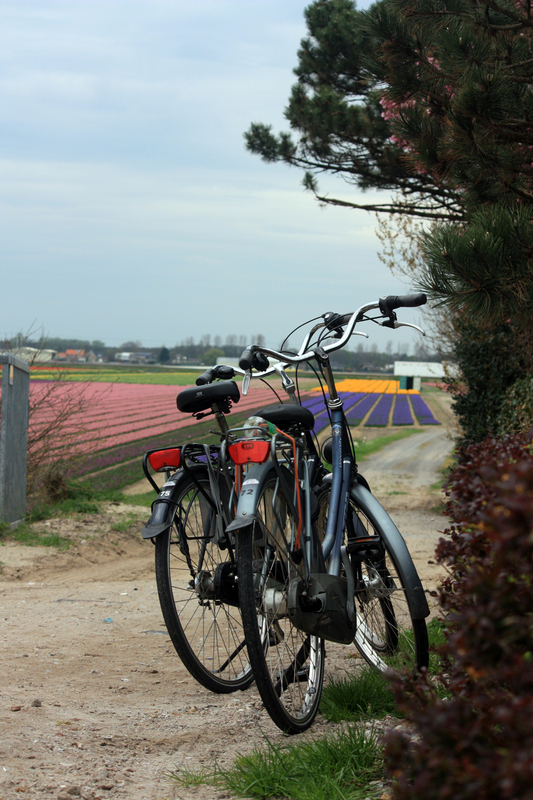 But for the real idyllic Holland feeling, we rented bikes right outside the gardens and toured Lisse. 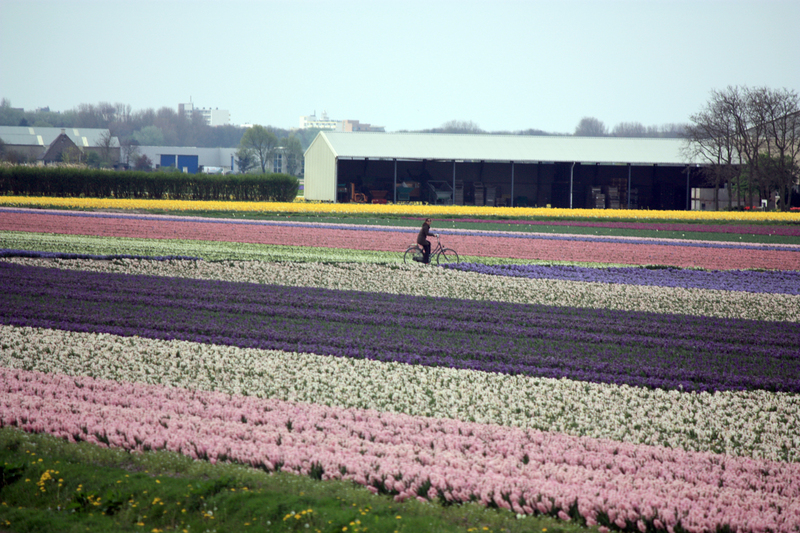 Riding along the bike paths around and through flower fields was like something out of a movie. I kept telling Matt to stop and smell. 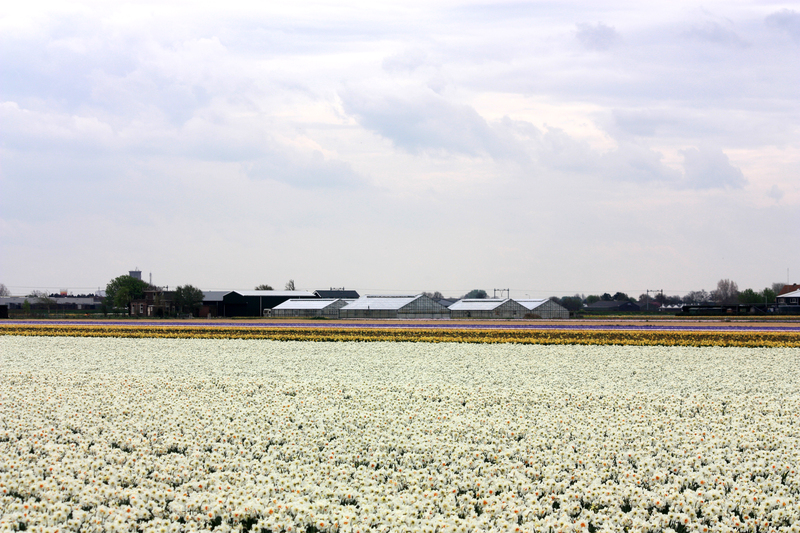 It smelled like I was in a flower shop full of hyacinths as we cycled through. The pictures barely do it justice, but it’s worth a try. My preferred method of transport. No, I’m not riding through the flowers. There’s a path there. 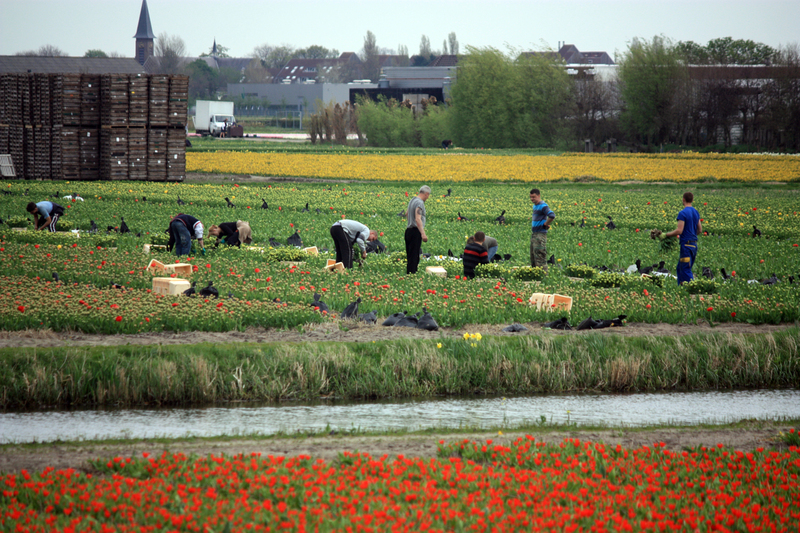 Workers in the fields in Lisse. Below is a 10 second video I made of the flowers. Enjoy! 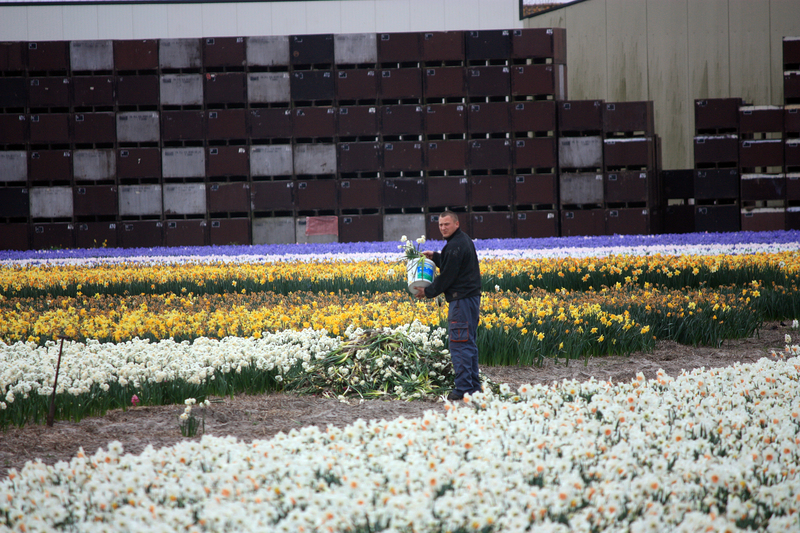 If you go: If you plan to go to Keukenhof and want to bike around Lisse, you can rent bikes right outside the gardens at the back of the parking lot. You’ll save about 75 cents per person and get a free map and drink if you buy your garden tickets at the bike stand rather than at the regular ticket entrance. 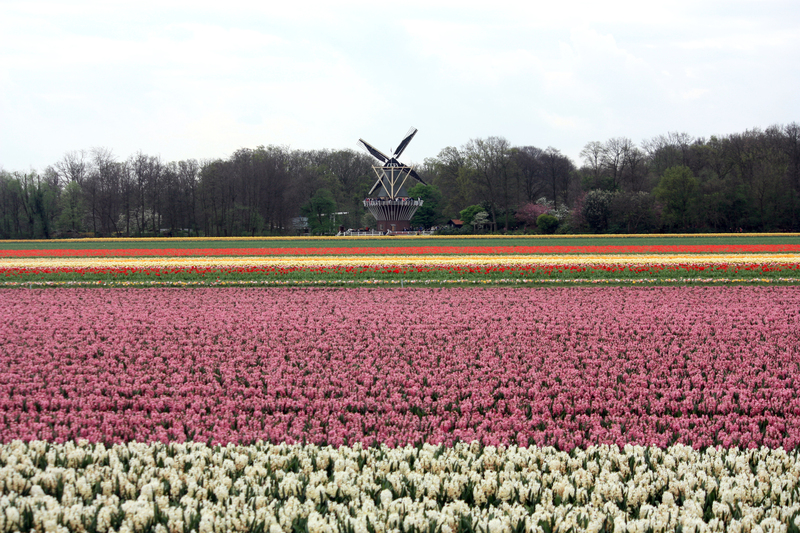 Also, buying the Amsterdam & Region Day Ticket will save you money if you take the public buses or trams and want to take the bus to Keukenhof. And just in case you were wondering why sometimes people say Holland and sometimes they say the Netherlands, click here. Tags: Amsterdam, Keukenhof. Bookmark the permalink. What a perfect ending to a wonderful year! so proud of both of you! Great article and beautiful pictures and eye-popping video; one of my favs!